We spend a lot of time around oomlout HQ shopping online. Recently we've taken quite a shining to 360 degree product photos and wanted some of our own. 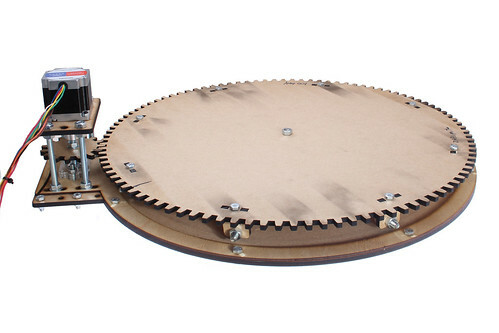 So we fired up the laser cutter and made ourselves a stepper motor controlled lazy susan. The early results are promising . :example:.